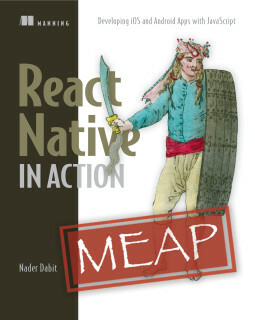 React Native in Action gives iOS, Android, and web developers the knowledge and confidence to begin building high quality iOS and Android apps using the React Native framework. 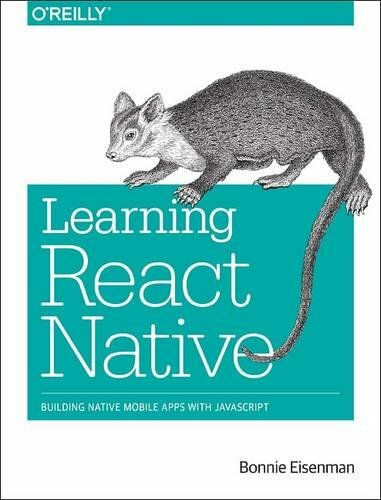 You’ll start by getting a clear understanding of what React Native is and how it works. Then you’ll follow step-by-step instructions to build your first functional app while you learn the fundamentals. 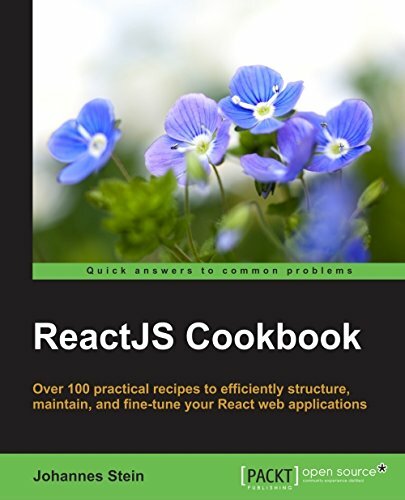 This clearly-written book dives into more complex application development topics like styling, cross-platform and OS specific components, APIs, network requests, and animations. In the last part of the book, you’ll learn to develop data architectures and thoroughly test your apps. 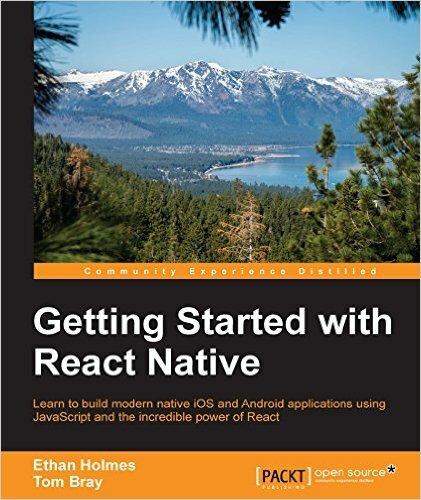 By the end, you’ll know to build high quality, cross-platform mobile apps with React Native. React is a new, open-source technology from Facebook that has stirred quite a storm in the web development community, and some would say it’s the next best thing to a silver bullet for building web applications. 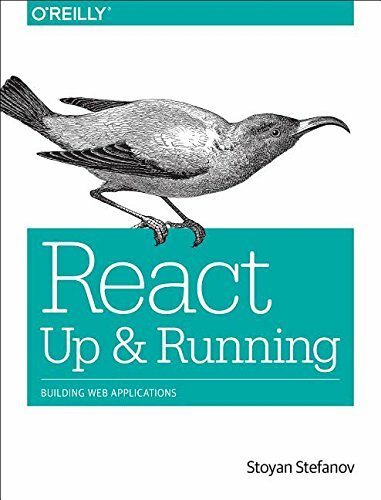 React: Up and Running, is for anyone who is interested in learning React, building components for an app and building maintainable apps. 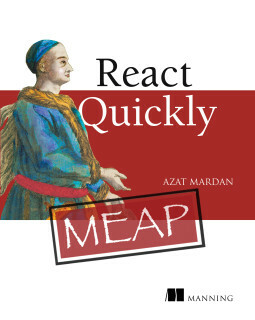 Users will learn how to get off the ground with React, assuming no prior knowledge. 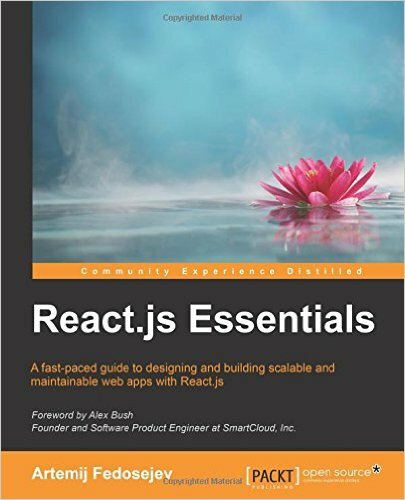 This book teaches you how to build components, the building blocks of your apps, as well as how to organize the components into large-scale apps. In addition, you’ll learn about unit testing and optimizing performance, while focusing on the application’s data (and letting the UI take care of itself). Facebook's React powers an increasing amount of sites. There is a good reason for this. It simplifies frontend development greatly. Combined with Webpack, a bundling tool, you have a powerful frontend development environment in your hands. ReactJS has helped to transform the web as we know it. Designed by Facebook to help developers build rapid, responsive UI that can deal with data-intensive usage, it's an essential component in any web developer's skillset. 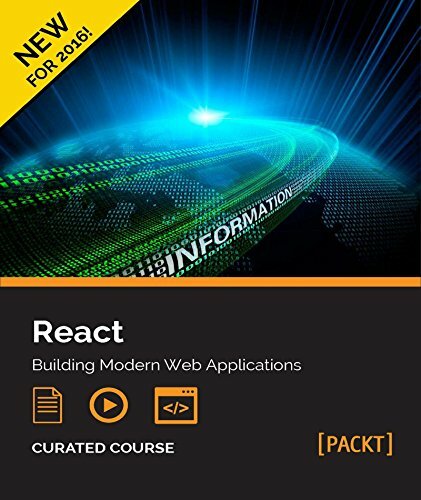 This ReactJS course, in five connected modules, provides you with a fast, engaging and practical route into ReactJS—so you can build powerful, elegant, and modern web applications. 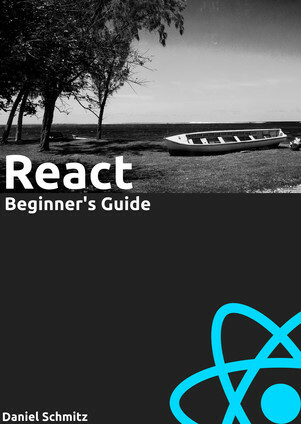 You'll then dive a little deeper into ReactJS. 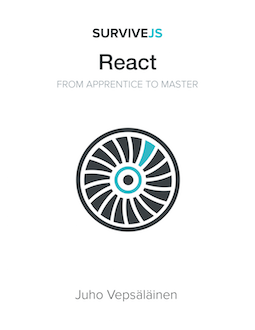 The second module gives you a rapid look through the fundamentals of ReactJS, showing you how to build a basic application and demonstrating how to implement the Flux architecture. 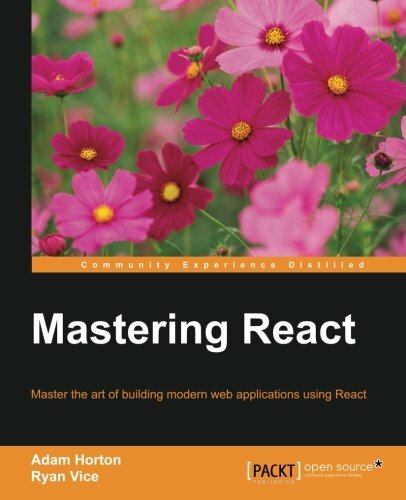 In the final two modules you'll learn how to fully master ReactJS, exploring its wider ecosystem of tools that have helped to make it one of the most important tools in web development today. Ending with insights and guidance on React Native, the tool built for today's demand for native, intuitive user experiences and interfaces, with this course you can be confident in building dynamic and modern apps with React. 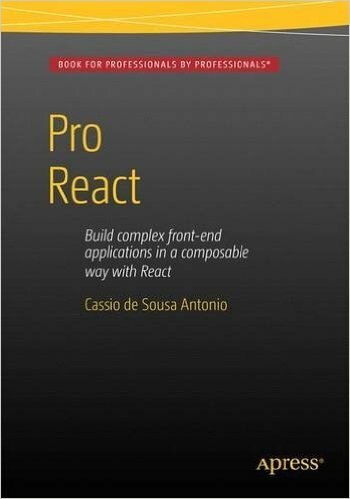 React stands out in the web framework crowd through its approach to composition. This approach yields blazingly fast rendering capabilities. 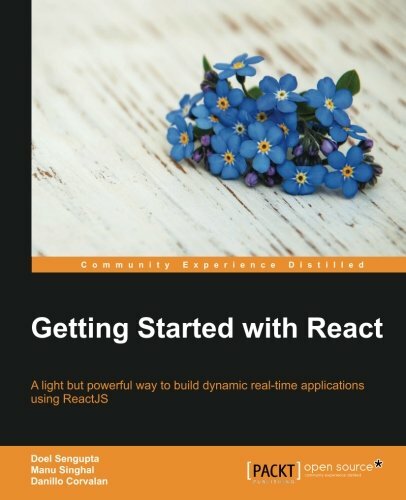 This book will help you understand what makes React special. It starts with the fundamentals and uses a pragmatic approach, focusing on clear development goals. 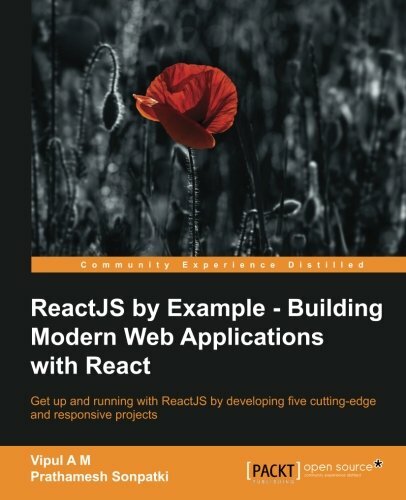 You'll learn how to combine many web technologies surrounding React into a complete set for constructing a modern web application. With this text, you'll blitz the basics then swiftly move on to advanced topics such as form validation and complete application construction. You'll also explore several design activities which will help you develop your web applications with a thoughtful plan. Finally, you'll learn several methods for implementing slick animations using React.